Some photos just in from our Australian distributor, Southern Cross Textiles (http://sctextiles.com.au/) who just attended the Sanctuary Cove Boat Show. Be sure to look for them at the upcoming Sydney Show that runs from 28 July to 1st August. 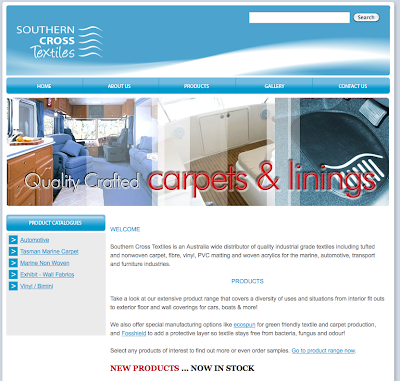 This entry was posted in SeaDek Marine Products and tagged marine nonslip, seadek australia, southern cross textiles. Bookmark the permalink. I have two center console boats with casting platforms and would like to get seadek installed on them. we are very interested in your sea deck as we like to use this product on our 17 mtr catamaran.we will give you a ring in the morning regards Hans and Dianne.